Consumers starting to shop for their own futon covers will no doubt come across this name…SIS Covers. They have been around for a long time and well known in the futon industry and also bedding industry. 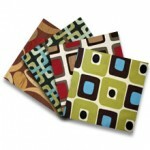 They offer beautiful textiles for covers, bedding, and even drapes. If you want to purchase these covers, you can find them at Futon creations. Otherwise, here’s some history on them below. Purchasing a selection of futon covers in multiple styles is definitely the cheapest way to improve decoration possibilities for your room. When you are tired of looking at the same old furniture in you home, instead of buying new furniture, you can simply purchase some new futon cover patterns and change the whole look of the room.